The last thing any adult wants is to feel like an adolescent again. Good thing braces aren’t reserved for teenagers alone. You can have the straight smile you’ve always wanted without subjecting yourself to metal mouth or being known as a grown-up with brace face. 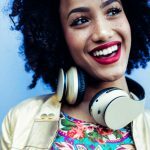 Invisalign aligner braces in Arlington are your ticket to a beautiful, aligned smile – and there are plenty of reasons adults love Invisalign. You can have braces without anyone knowing a thing about them. Invisalign aligners are designed to be nearly invisible. They’re thin, clear, and unnoticeable in any setting. You can eat what you want. There are no limitations on eating the popcorn, pizza crust, and chewy foods you love when wearing Invisalign. The aligners are removable, so you can dig in and enjoy every meal and snack. Just remember: No eating or drinking anything but water when the aligners are in place. You could break or stain them. The last thing you want to do is give up the hard-won independence you have earned in your life to become a slave to braces. With Invisalign you are in control of your orthodontic treatment. 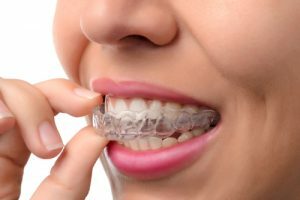 You must wear the aligners 20 to 22 hours a day, but you get to decide when you remove the aligners and you are given the responsibility to change the aligners about every two weeks. You have a job to do and you get to decide when, how, and where things happen. They won’t interfere with your job. If you have daily face-to-face interactions with colleagues, clients, students, or customers, they’re looking at you and noticing your smile and teeth. This up-close-and-personal work can make you extra self-conscious about your crooked teeth. With Invisalign, you can give presentations, sell a product, convince a client, woo a customer – all without anyone knowing you’re wearing braces, and all with your smile getting better every day. You don’t have time to visit the dentist every month. You don’t have the desire to wear braces for years. Invisalign corrects just about every bite problem that conventional metal braces do in about half the time. You only need to see your Arlington Invisalign provider every six weeks or so for a checkup and to get your upcoming sets of aligners. Invisalign is designed to blend in with your life and make it better, not be an inconvenience. 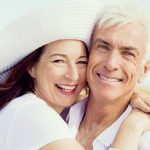 Invisalign adult braces are revolutionary. They have allowed millions of adults to finally get straight teeth without having to resort to noticeable hardware on their teeth like tweens and teens. If you’re worried about pain, Invisalign is comfortable. If you’re concerned about hygiene, aligners just need to be soaked regularly and you can brush and floss as usual. Invisalign was designed to be convenient. 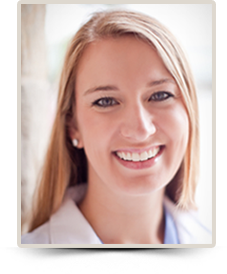 Find out if you’re a candidate for Invisalign adult braces in Arlington, Texas. Contact us today to schedule a consultation with Dr. Alana Macalik.